Pop open your bubbly the fun way, the safe way and the easiest way with The Champagne Opener. Whether celebrating occasionally or rarely you'll want our champagne bottle opener in your kitchen drawer....and your friends will too!!! Simply the Easiest and Safest way to open all Sparkling Wines. WORKS WITH ALL CORKS, STOPPERS & CAPS The Champagne Opener safely and easily opens all domestic and imported sparkling wines no matter what kind of top - wood corks, plastic stoppers or the newer twist-off caps. Please read the instructions when getting your new opener . . . it works differently for each type. Or better yet, let Chantée show you how. LEVERAGED LIFT A gentle squeeze of our patented Champagne Opener extracts even the most stubborn plastic cork with a powerful leveraged pull. No more will you be plagued by sore hands or broken fingernails from wrestling with the cork. EASY HANDLE GRIP A grip between the handles provides a leveraged gripping action so that even the tightest wood corks or twist-off caps can be easily twisted and removed. No longer will you be frustrated by weak or arthritic hands. PROTECTIVE HOOD By using The Champagne Opener, corks will still pop but never again shoot unexpectedly and dangerously into the air. No longer will you concern yourself with accidents such as detach retinas or brokend overhead lights. "A flying cork can travel up to 50 MPH with enough force to cause permanent eye damage" - American Academy of Ophthamology, reported in USA Today. DISHWASHER SAFE The Champagne Opener is made from a fiberglass-reinforced polycarbonate. Unlike many other kitchen gadgets, our opener won't bend or break when put in the lower rack of your dishwasher (near the heating coil). 100% U.S.A. 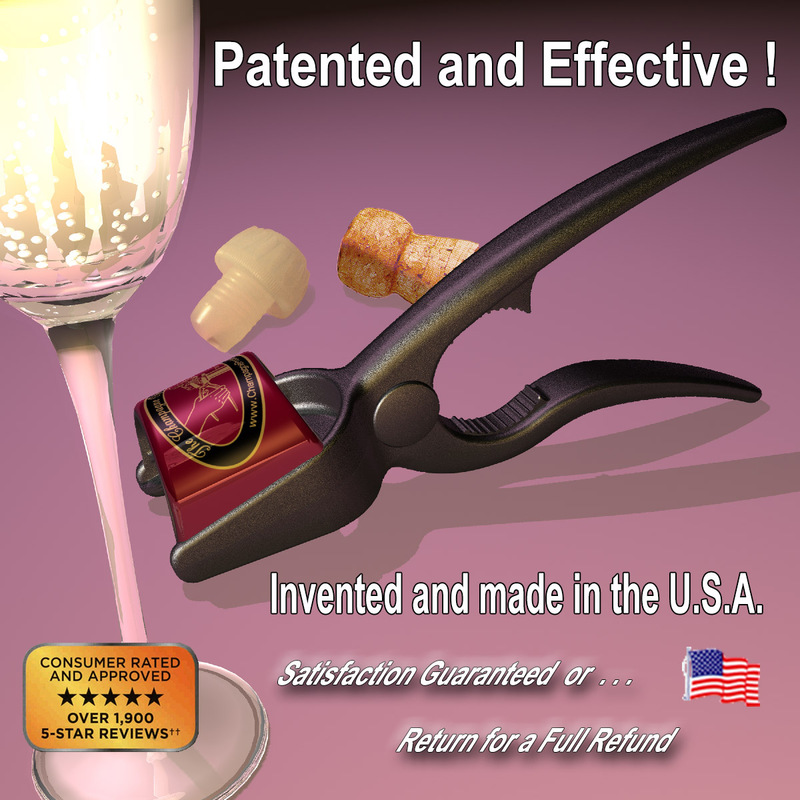 Invented, designed and manufactured in picturesque Monrovia, California since 1986, The Champagne Opener carries 3 United States patents. 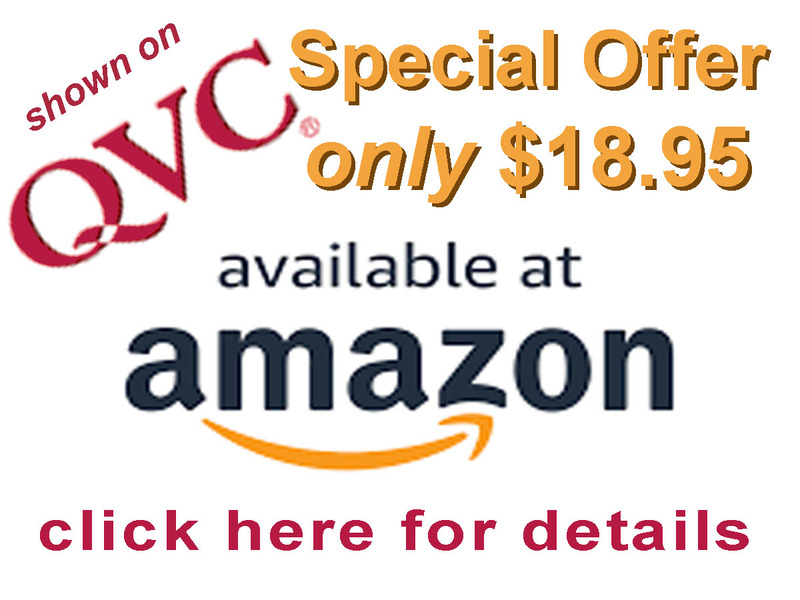 It is unique and absolutely the best device for your home, boat or camper. 5 YEAR WARRANTY Since 1986 we have and continue to stand behind our The Champagne Opener . . . get a replacement without having to give excuses or receipts. Refer to our order form for warranty details.